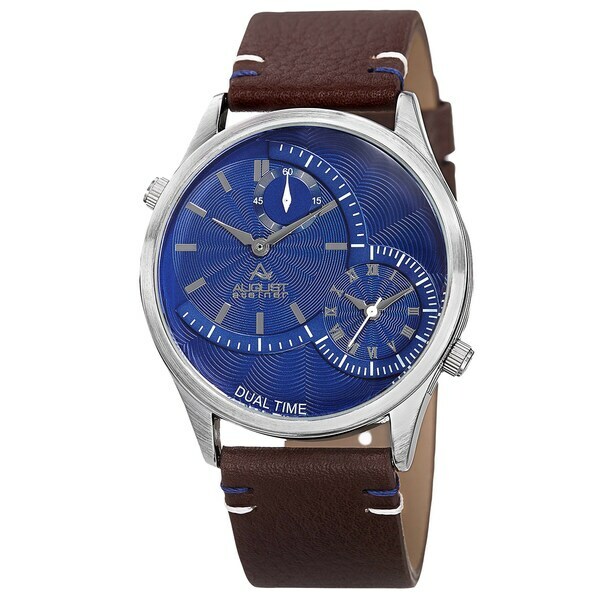 This beautifully crafted men's watch by August Steiner features a bold case design. The dial is decorated by a rich guilloche pattern gracing a dual-time complication, each powered by its own reliable quartz movement. It is completed with a leather strap.